CHINPRO EXHIBITION CO LTD was established 2001, former name Boxin Exhibition Service Co., Ltd., is an organizer and intermediary service provider for large-scale exhibitions pursuant to advanced exhibition running models in the world, committing itself to the goal of offering customers ‘premium, professional and perfect’ service. 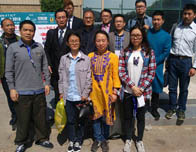 Chinpro is endowed with the human resource and physical facilities from Boxin who has established business ties with famous exhibition companies in some 22 countries and regions of the world such as the U.K., Germany, the U.S, Pakistan, Bangladesh, Korea, India, the U.A.E, Egypt, Turkey and Russia, etc. 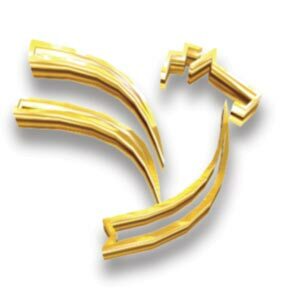 Its relevant business scopes are exhibition and advertisement organizing, transporting, business visits, business registration overseas, investment, etc. Chinpro boasts of a professional team of contingent with rich experience in exhibition investigation and research, management and operation, embraces of abundant archives of market research and exhibition analysis of all trades of industries; footed on the market, exploits excellent business opportunities for our clients with forward-looking planning and service; pivoted on conferences and exhibitions, creates cost-efficient, geocentric, all-dimensional means of commercialization for our clients via traditionally effective media and electronic business platform. Chinpro commits to pursue professionalism of teamwork, all-around service and brand-name. 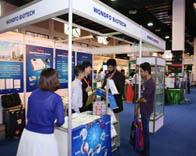 Chinpro Exhibition shoulders the responsibility of satisfying the need of customers and works to cultivate large-scale International exhibitions. 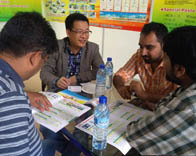 Chinpro Exhibition sticks to ‘be people-oriented and respect personality’ and tries to make working environment of joy and ease and company culture of incessant innovation, enabling each employee to attain self-identification, self-improvement and self-actualization. At the meantime, Chinpro’s staffs are conscientious, industrious and consolidated, which furnishes Chinpro with great cohesiveness. Chinpro will tightly encircle the policy ‘service outperforms, brand-name sustains’ and ‘innovates exhibition and conference; assimilates Chinpro’s business’. 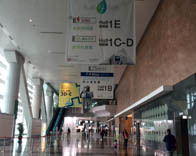 Based on traditional model of combining exhibition sales and comprehensive service, Chinpro adopts modernized means of communication, upgrades itself in simultaneity with the world, does its best to develop in rapid pace, build the most influential exhibitions and realize itself as internationally renowned exhibition service organization. 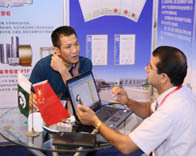 Chinpro, the best partner to achieve trade opportunities and Win-Win development with organizer and exhibitor!